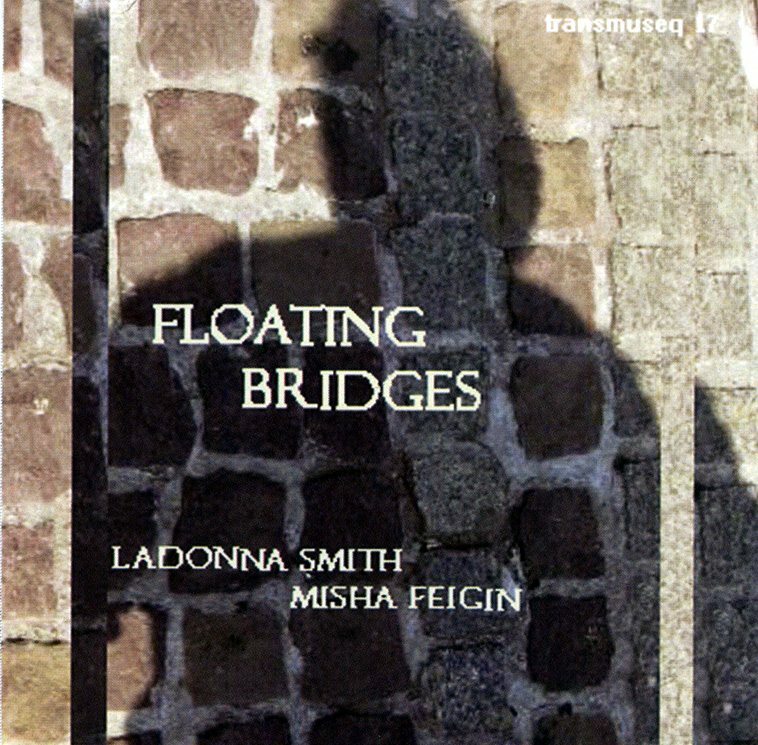 radiates with high energy interplay from the first notes and reveals a musical dynamism of fluid invention and sympathetic creation from the String Trek duo of violist La Donna Smith and guitarist Misha Feigin. Recorded in June, 2007 at the “Meeting of Improvisers” in Krakow, Poland, the set opens with the nineteen-minute “Krakow Concerto.” After the initial shock but superficial comparison to the duo of Smith and guitarist Davey Williams heard live during the 1970s-80s, String Trek comes crisply into focus with its own characteristic sound and approach. This well recorded live performance captures the duo at a high point of artistic collaboration. Throughout “Concerto,” Feigin ranges over his instrument, picking glittering and articulate lines, pulling strings and producing massive rhythmic chords—drawing sounds out, at times, both delicate and tough, but constantly inventive and responsive to his musical partner. He doesn’t sound like any other free improvising guitarist and has the energy and technique to be the perfect musical foil to the energetic and expressive Smith. Smith bows clean lines as well as smeared resonances, often joining her voice to that of her unmistakable viola. Neither is the leader, but the two blend into a perfect and satisfying union. “Concerto” fluidly travels from free invention into the p[layers’ shared European folk and Southern blues influences. The melodies that appear seem completely organic and natural with only a hint of cultural exoticism. “Tribal Reverberation” has both performers vocalizing from z’aum abstractions to extended vocal technique, from folk melodies to rhythmic cadences. A wonderful, but brief, piece of mouth music. “Klebnikov” is a sober meditation on the transience of life, penned by Velimir Hlebnikov in 1920 and recited here, first in Russian, and then translated by Feigin with pizzicati and chordal accompaniment. The mood continues with “Die to Live,” picking up first with muscular and virtuosic sequences interleaved with rhapsodic lyricism and then integrating Feigin improvising on his poem, “The wind blows through space…,” which ends the sequence as a paean to the fleetness of experience. The integration of the reading with the music is so seamless as to avoid comparison to most jazz/poetry collaborations. In all, a beautiful connection to the Russian language exploration of the Futurist years—a sensibility shared by both artists—and the tenuousness of the art of improvisation. The concert ends with “Crossed Currents,” an extended exploration of string color restlessly moving from technique to technique and culminating with an energetic vocal and slide guitar send-off. Ending, Smith announces in her characteristic way, “That’s all folks.” A brief encore of a few seconds, “Something Reduced” follows. Smith’s early Trans Duo recordings were often marred with mediocre recordings and abbreviated sets. The quality of this release, both in clarity of recording and artistic achievement, makes up for that lack. Together, Smith and Feigin have moved beyond Yokel Yen(Transmuseq, 2004) with an organic rightness to their approach.